On Jet Airways ATR72, Unexpectedly! This was one trip decided at the very last minute. 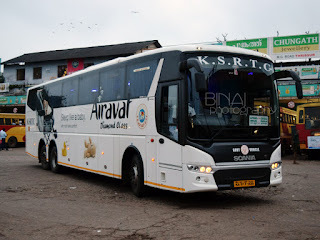 A long holiday, all thanks to an All India Motor Transport Strike right before May Day, meant I could head home. The journey home was by road - driving down my brother's car. I hadn't booked a return ticket - I had the option of taking a day off and returning with my brother, or taking a bus/flight earlier. I had to return earlier because of certain official commitments back in Bangalore. 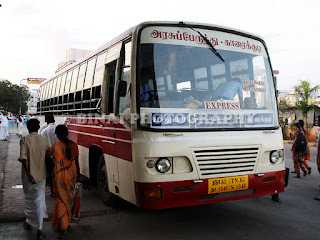 A bus ticket for Sunday (day or night) was selling at exorbitant rates. I tried for Saturday night, and the rates were no different. 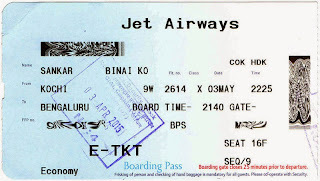 Air Fares were starting at more than 7K. It was just then that I remembered I had enough JetMiles to get an Award ticket - the problem, now, was that Award tickets should be available. The Jet Airways app does not let one book an award ticket. I tried booking through their desktop version of the website, and it worked. Award tickets were still available on most flights on Saturday, and only on the last flight of Sunday. Now, flying on Sunday was obvious - I could maximise my stay at home in this case. The booking took some time due to a very slow internet connection on my phone - I was in an interior town in Kerala at the time. The gateway timed out twice, but went through successfully on the third attempt. All I had to pay was Passenger Service Fee, CUTE Fee and Service tax - totalling Rs. 278! This was an amazing bargain, for a flight departing on a Sunday night after a long weekend. Its always a sad moment to leave home, irrespective of the number of days I spent home. I could afford to leave late since my bro would be dropping me at the airport. We left home around 2000hrs, and I was dropped at the airport about fifteen minutes past nine. There was absolutely no crowd at the terminal entry, or at the check-in desks. I had my boarding pass by 2120hrs, and headed towards security check. There were three flights departing in the next couple of hours, including mine. Security check was fairly crowded - all thanks to the fact that only one scanner was working, and there was just one frisking booth! 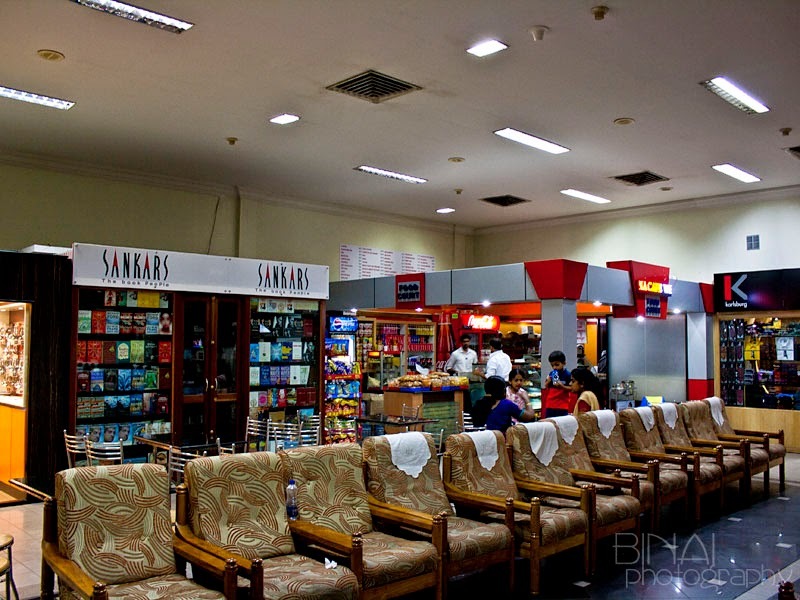 Shopping options at the Domestic terminal. Thats a food court at the end. I was in the security hold by 2130hrs - with almost an hour to go for my flight. One SpiceJet Q400 (to Hyderabad) taxi'd out as I reached the waiting area. 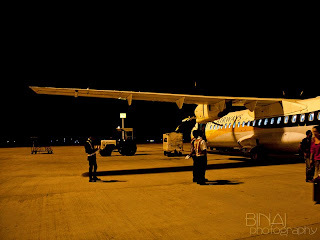 A while later, another SpiceJet Q400 came in to the apron - this one was to Chennai. A little later AirAsia's VT-ATF came in from Bangalore. Quite unusually, boarding was called late and appeared very disciplined. 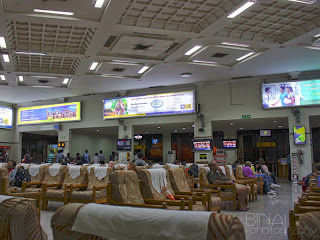 There was one Air India A319 in the international side - Air India operates two domestic flights from Kochi through the international terminal - one to Mumbai and another to Delhi (the Delhi flight comes from Trivandrum). 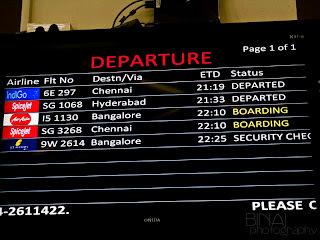 These flights are connectors to International flights from Mumbai/Delhi. AirAsia seemed to have great loads on that day. 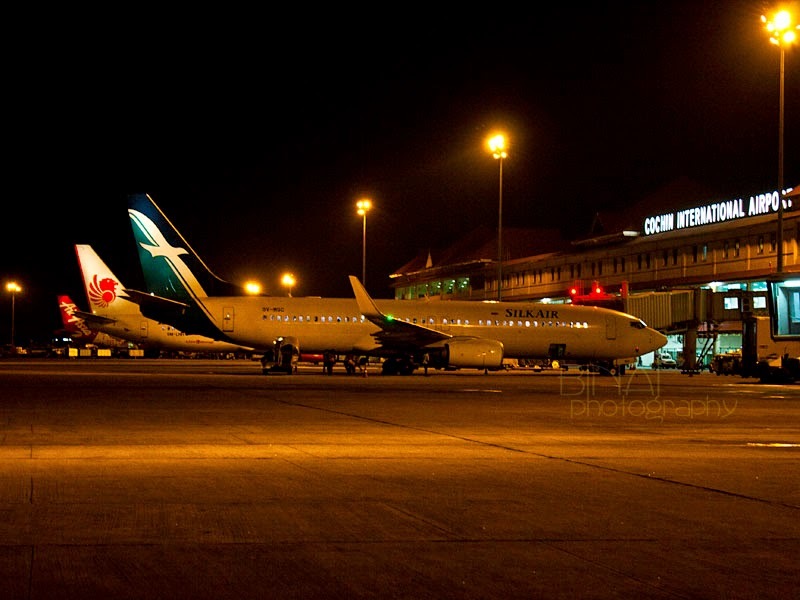 Soon after AirAsia completed boarding, the domestic terminal slowly started preparing for a long sleep. My flight at 2225hrs was the last for the day, and hence most shops prepared to close, while housekeeping staff started pre-cleaning activities. I was quite worried since the aircraft for my flight hadn't arrived till 2200hrs - this made it sure that our departure would be delayed. The aircraft for my flight finally came in at 2207hrs. 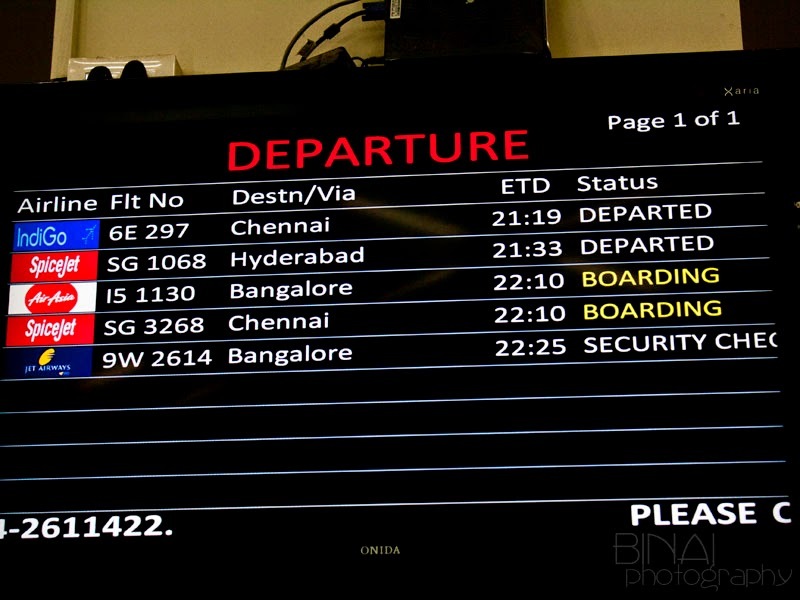 The first boarding call was made at 2213hrs - and by then, almost all the passengers had crowded the gate (#2). As usual, Jet enforced row wise boarding - passengers seated in Rows #1-9 were called first. I decided to wait till the crowd thins out - I finally got on the last bus at 2221hrs. 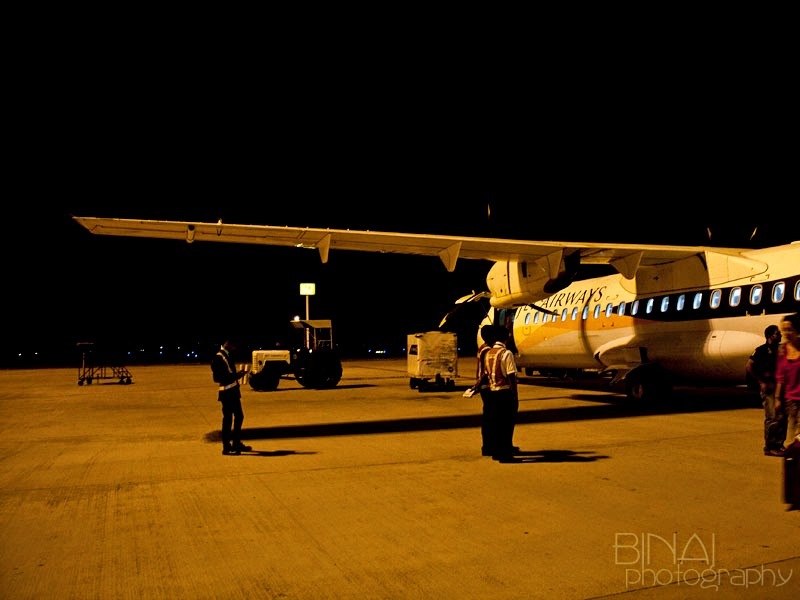 The bus slowly crawled through the fairly empty apron towards the aircraft. 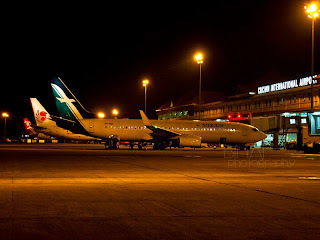 The international apron was busy with three international flights - SilkAir, Malindo and AirAsia (Malaysia) preparing to depart. I was the last passenger to board, and got in to the aircraft at 2229hrs. I was flying VT-JCR today, an ATR-72-500 (cn: 919) delivered to Jet Airways in November 2010 - a 4.5 years old bird. The flight attendants were at the door, welcoming each guest. I settled on my seat (#16F), while the attendants went about checking. Kimberly and Rashmi (P) were looking after the cabin, while Capt Suresh and Capt Easwer were at the deck. The door was armed at 2231hrs and we were pushed back at 2233hrs. Safety demonstration started soon after push-back. We commenced taxi at 2237hrs, and headed towards Rwy27 for take off. Its a long taxi to Rwy27 - we reached the holding point at 2244hrs. Just as we stopped short of the runway, a SpiceJet B738 landed (coming in from Chennai, later heads to Dubai). We commenced take-off roll shortly afterwards, and we were airborne at 2245hrs. We took off towards west, then performed two beautiful turns and headed North-east towards Bengaluru. Seatbelt signs were turned off at 2256hrs. On Board service commenced soon after the seatbelt signs were turned off. Being seated at the back of the ATR has the advantage of being served soon - the trolleys come from the back. I opted for a Veg Snack (as usual) - the box contained a Paneer Sandwich, a muffin, the JetAirways signature Imli (Tamarind) Candy, SkyMart brochure served along with a bottle of Water. The paneer sandwich was dry - the paneer was rubbery. The muffin was hard - the top was really hard. 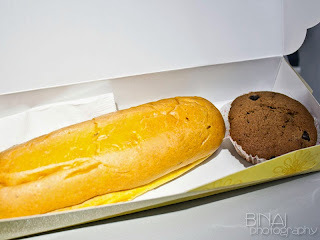 Its time Jet Airways brings in some change in their catering - the sandwiches and the muffins are two repetitive and boring now. They could add a serving of a juice - there is no hot beverage service anyways. With flying time exceeding an hour, they could surely serve something better. The imli (tamarind) candy - a brand called Mili from a supplier called Farmers First, is a welcome addition though - brings back memories of the olden days. The on-board service was warm as usual. A second serving of water was offered when the attendant came around for clearing thrash. 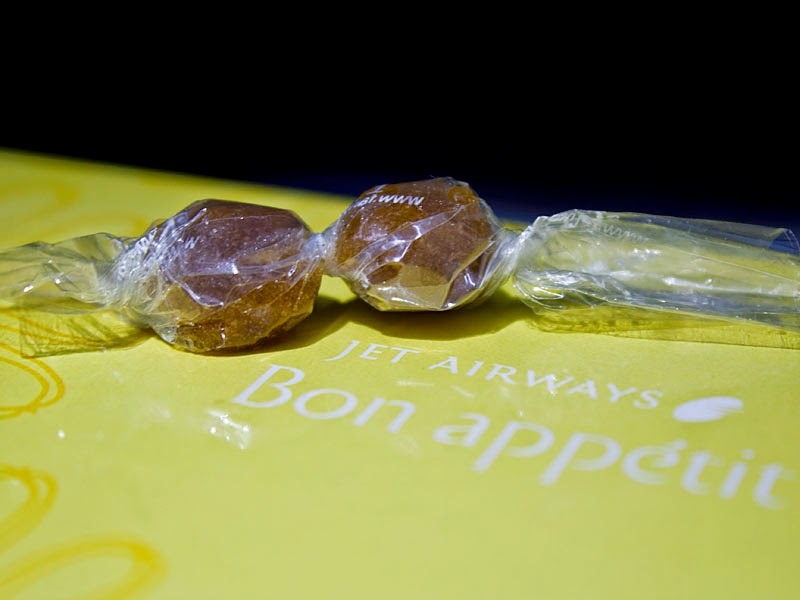 The flight was largely uneventful, and I spent most of the time reading JetWings, the Jet Airways on-board magazine. 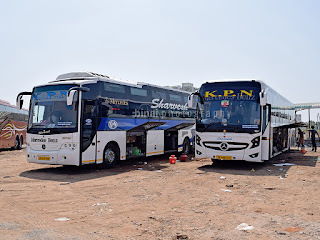 The weather in Bangalore was poor for the two days prior to my journey - this had caused a lot of delays, and I was a bit worried if the weather would be poor on this journey as well. But that did not seem to the case - landing was announced at 2329hrs and the seat belt sign came on. 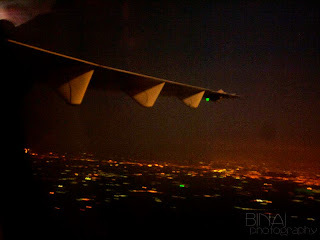 It was a full moon night, and we overflew the city as we approached the airport. The city looked resplendent, and the full moon added to the beauty. The skies were clear, and all the lights added to the beauty of a scene, that I am unlikely to forget soon. 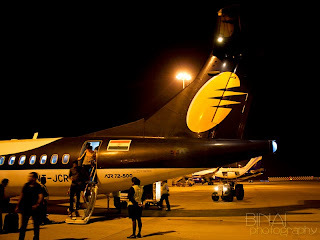 We touched down at Rwy09 of Kempegowda International Airport, Bengaluru at 2344hrs. We entered the apron through the Rwy27 end. We parked at Stand #78, at 2347hrs. 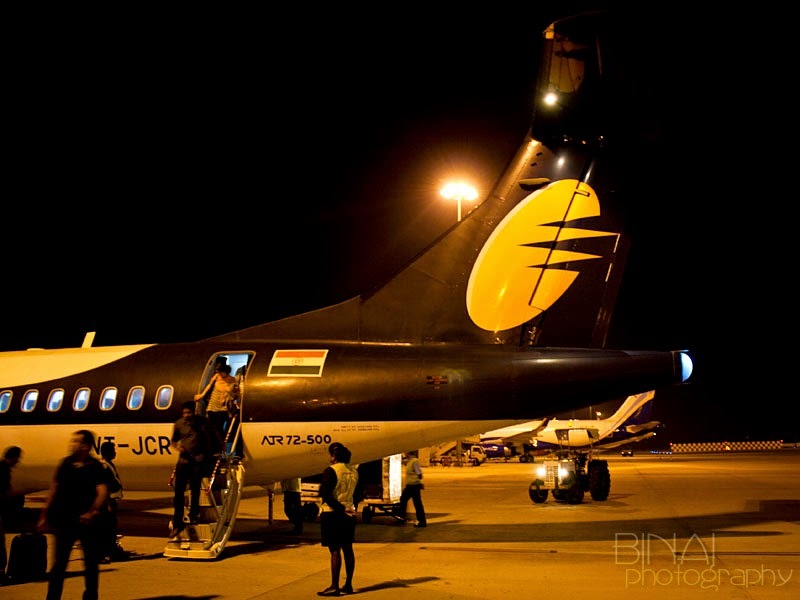 Three Jet Airways ATRs are parked at Bengaluru at night, along with one ATR each of Air India Regional and Air Pegasus. I was out of the aircraft at 2350hrs. I got into the first bus, which dropped me at the terminal at 2356hrs. I was out of the airport a minute past midnight. After reaching Bengaluru - VT-JCR prepares to sleep..
VT-JCR... passengers continue to alight.. It was largely an uneventful flight - I only wish Jet Airways changes their catering options. Its high time the sandwiches and the accompaniments change. Its too boring and repetitive now. 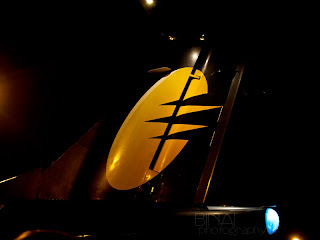 Jet Airways, are you listening? AirAsia India - Kochi to Bengaluru, again!